This could be the moment this pretty girls's life is about to change for ever. pure coincidence. 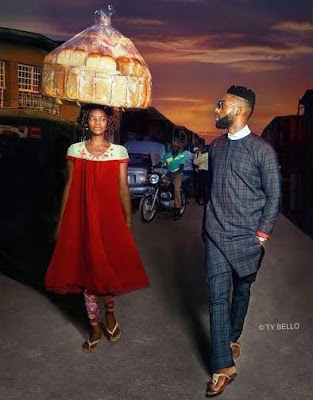 TY Bello is determined to find and help her kick start a modelling career. Sounds like a Cinderella story doesn't it? Just shows how life can be so cruel.See how pretty the girl is and she is slaving away selling bread,while girls who don't look as good as she does are making a fortune modelling... But a little voice inside of me says this could well be a set up,she just looks too well put together to be a bread seller and just happen to walk past that photo shoot..Hmmm...I don't put nothing past the world of show biz.